This is a blog post and an announcement! 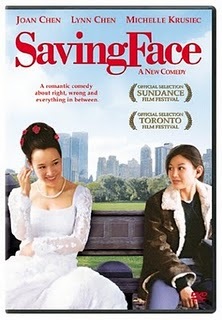 Announcement--->THIS Thursday, at 8:30pm in the Center for LGBT Life, we're going to watch Saving Face! There will be blankets, popcorn, and friendly people. All are welcome to attend! 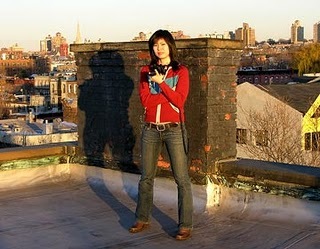 I'm writing about Alice Wu this week, because I personally believe that she has single-handedly wrote and directed the BEST lesbian movie I've ever seen: Saving Face. I haven't seen every LGBTQ-themed movie, that's for sure, but I feel this is one of the funnier, (sexier? ), and more realistic movies about LGBTQ women that I've seen. Wu actually has a really interesting background entering the film industry which I think is part of what makes her a role model. She graduted from Stanford University with a B.S. in Computer Science, and she started working for Microsoft in 1990. While she was at Microsoft, she wrote the story for Saving Face, and eventually enrolled in a screenwriting course on the side. Her screenwriting instructor encouraged her to leave Microsoft and pursue her film-writing career. Five years later, she produced the film and released Saving Face in 2005. "I know: A woman gets disowned at 48? Not so funny. There's pain and more pain. But people do weird things and life is funny. The characters don't think its funny-but their situations are just so impossible." 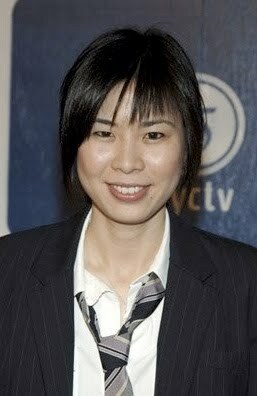 "Often I think of it as more of an Asian notion, although the concept of it is very universal across many cultures. The way I understood it, growing up is that there is this sense that what you present to the world may not be who you are inside, but there is a responsibility when you come from an immigrant community--even though I was born in the states, my parents were immigrants--so there was this sense of wanting to be the perfect citizen. On some level I’m representing all Chinese people to Americans, even though, technically, I’m an American. So, if you do anything to shame yourself, you’re not just shaming yourself, your shaming an entire community. Also, in terms of the film, Wil is a reconstructive surgeon, who specializes in faces, and her mother works as an aesthetician at a salon, giving facials. There is that double entendre." As a viewer, all I can say is that I'm so excited to see what Wu decides to do next, considering she's only just begun. Also, if you'd like to watch Saving Face, we'll see you this Thursday at 8:30pm! [all are welcome!] If you can't watch it with us, but would like to see it at a different time, I also know that there is a copy in Lilly Library that circulates outside the building. =) See you soon!